ON SALE 3/8" ID, 1/2" OD. 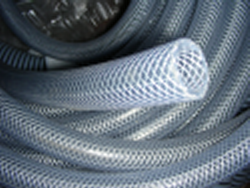 SPECIAL: 3/8" x 20' roll, braided pvc tubing. Pressure rating 200PSI. Limited to stock on hand.